Below is a complete list of all the Costa Brava hotels in Begur. 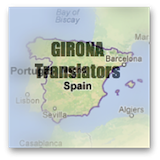 BUT before you look through the list of Begur hotels...please click here to open in a separate window...How The Hotel Costa Brava Accommodation Directory Works? Want to see if the beaches of Begur are for you? Take a look at the pictures of Begur. Location: This family run Costa Brava hotel is a really gorgeous boutique hotel right in the town of Begur. The nearest of the beaches of Begur are a 10 minute drive away. Description: Hotel Aiguaclara opened in 2000 in an 18th century colonial mansion. 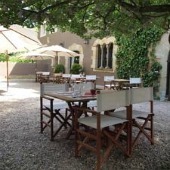 It has a restaurant, bar, conservatory, courtyard terrace and free wifi. This hotel offers golf packages as well as last minute deals. The rooms have cable tv (the junior suites also have cd and dvd players), air conditioning, central heating, desk, free wifi and hair dryer. Some of the rooms have a terrace. Breakfast is included in the price of the room. Location: This small Costa Brava hotel is just outside the town of Begur. The nearest of the beaches of Begur is Sa Tuna, which is a 10 minute drive away. 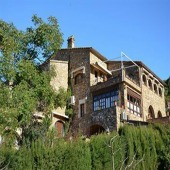 Description: Hotel Bliss Begur is an old stone building that has had a modern revamping. It has a restaurant, bar, lounge, spa treatments, free wifi and parking (not free). 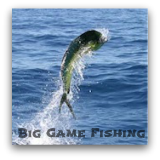 The rooms are air conditioned and have cable tv, safe and hair dryer. Pets are allowed at this hotel. Location: This tiny family run charming Costa Brava hotel is in the town of Begur. The nearest of the beaches of Begur are a 10 minute drive away. Description: Hotel Classic is in 18th Century building that has a restaurant. 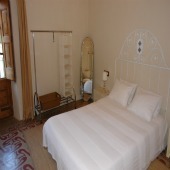 The rooms are all individually decorated and have air conditioning, central heating, mini bar, wifi, tv and hair dryer. 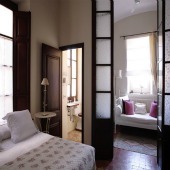 Three of the rooms have terraces, two have balconies and one of the rooms is actually a suite of two rooms. Location: This boutique Costa Brava hotel is in the town of Begur. The nearest of the beaches of Begur are a 10 minute drive away. Description: Hotel Cluc is an 18th century building that was refurbished in 2012. It has a lounge, self-service bar, terrace and library. The rooms are small and smartly decorated and come with heating, a balcony or terrace, free wifi and a hair dryer. Breakfast is included in the price of the room. Location: This Costa Brava hotel is a converted 18th Century farm house a 5 minute walk from the centre of Begur. The nearest of the beaches of Begur are a 10 minute drive away. Description: Hotel Galena Mas Comangau is a really lovely looking hotel with a restaurant (which has live jazz music at weekends), fire place, terrace, lounge and convention rooms. The rooms are all individual and very nicely decorated with air conditioning, heating, mini bar, stereo, wifi, satellite tv, desk and hair dryer. Some of the rooms have terraces. Weddings are held at this hotel. Location: This small family run Costa Brava hotel is in the town of Begur. The nearest of the beaches of Begur are a 10 minute drive away. Description: Hotel Hanoi (it’s name is inspired by the owner being half Vietnamese) has a breakfast area, patio garden and small lounge. The small rooms are clean and simple, but some are more attractive than others (particularly those with the old tiled floors). Breakfast is included in the price of the room. 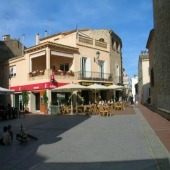 Location: This family run Costa Brava hotel is in the centre of Begur. The nearest of the beaches of Begur are a 10 minute drive away. Description: Hotel Rosa has been in existence as a hotel since 1970 (but was run as guest house from 1944) and was renovated in 2006. It has a restaurant (which runs Cuban dance workshops), roof top terrace and massage therapies. The hotel offers packages at certain times of the year. The rooms have air conditioning, heating, tv and free wifi. The suites have lounges and small kitchens. Breakfast is included in the price of the room. 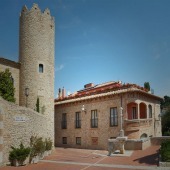 Location: This luxurious Costa Brava hotel is in the centre of Begur, next to the church. The nearest of the beaches of Begur are a 10 minute drive away. Description: Hotel Sa Calma is a beautiful hotel. It has a restaurant, lounge, roof terrace, plunge pool (on the roof), jacuzzi, sauna, parking (not free). Some of the colonial style rooms have a terrace and all have a tv, mini bar and internet. 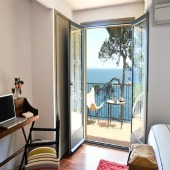 Location: This tiny Costa Brava hotel is just 40 metres from the sea at the cove of Aiguafreda. This is a real “escape” place to stay...there are no bars or shops here. Description: Hotel Sa Rascassa is open from 9 March till 27 October. It has a restaurant (that holds live flamenco music every wednesday from June to 5 September), terrace and a garden with sea views. The rooms have heating, free wifi, tv and a hairdryer. Breakfast is included in the price of the room. Location: This charming Costa Brava hotel is on a cliff, over looking the cove of Aiguafreda. There are no bars or shops here, so be prepared to unwind. Description: Vintage Hotel and Lounge used to be part of the 5☆ Hotel Cap Sa Sal. It has a restaurant and terrace (with stunning sea views) and a salt water pool. The attractive rooms all have amazing sea views, a terrace (no terrace on family rooms), air conditioning, heating, tv and wifi. Breakfast is included in the price of the room. To check out hotels in Sa Riera, Sa Tuna, Platja Fonda, Platja Fornells and Aiguablava, please continue on to the next page of Begur hotels.